If you are arrested or questioned by the police, you should consult with the leading criminal defense attorneys at Springstead Bartish Borgula & Lynch immediately BEFORE you waive any of your rights and talk to the police or consent to a search of your belongings. In addition, if you are accused of or charged with a crime, you should hire an attorney immediately to represent your best interests. A highly-skilled, experienced Michigan attorney may be able to successfully challenge any faulty searches or seizures in the case; file factual, legal or evidentiary challenges in the case to weaken the prosecution’s case and enhance your bargaining position; negotiate a favorable plea bargain; or, simply win the case at trial. Before you hire an attorney, you should know that such arrests/cases are handled differently than a typical criminal case, so make sure you hire a Michigan attorney with experience in successfully handling these type of cases, in particular. Every year the Attorneys at Springstead Bartish Borgula & Lynch represents many clients accused of committing an array of crimes at or on the way to Rothbury, Michigan. At Springstead Bartish Borgula & Lynch, we know how these cases are handled and work hard to get the best results possible for our clients. See our reviews on avvo.com, which include many reviews from satisfied clients who have faced criminal charges after attending the concert. Also our West Michigan criminal defense attorneys have compiled a list of FAQ’s for concertgoers arrested or ticketed at the concert. At Electric Forest 2014 I was arrested and charged with delivery of a controlled substance. I got home Sunday night and called multiple lawyers hoping to find answers. Gary was not only the only lawyer to answer the phone he answered my call at 1am. He was very informative the whole time about the possible outcomes, the process of the case, and was extremely easy to reach compared to any lawyer I’ve had. In my case he told me that we had a really good chance and I decided I did not want to take a deal from the prosecutor after hearing what Gary had to say. He left the option up to me again informing me of the possible outcomes. After Gary worked with the prosecutors office to pull my outstanding warrant he coordinated a day to turn myself in. After waving the preliminary hearing Gary entered a motion to dismiss my case and the evidence against me because of multiple reasons explained within the motion. I was very impressed with the motion and after reading it I felt a lot better about my chances. A few days later Gary called me with amazing news. The prosecutor decided the based on his motion and his argument about the evidence against me that instead of preparing a response and continuing with the next hearing and leave it up to the judge, that he would DROP THE CHARGES against me!!! I am very happy and can’t thank Gary Springstead enough! Boston University, Brussels, Belgium, M.A. Before you hire an attorney, you should know that arrests/cases arising out of the music festival in Rothbury are handled differently than a typical criminal case, so make sure you hire a Michigan attorney with experience in successfully handling these type of cases, in particular. Every year the Attorneys at Springstead Bartish Borgula & Lynch represents many clients accused of committing an array of crimes at or on the way to the Rothbury, Michigan. At Springstead Bartish Borgula & Lynch, we know how these cases are handled and work hard to get the best results possible for our clients. See our reviews on avvo.com , which include many reviews from satisfied clients who have faced criminal charges after attending the concert in Rothbury, Michigan. Also our West Michigan criminal defense attorneys have compiled a list of FAQ’s for concertgoers arrested or ticketed at the concert. In addition to all the concertgoers, the concert in Rothbury draws considerable scrutiny from law enforcement and the courts here in Michigan. The Michigan State Police, Oceana County Sheriff’s Department, and one of the area’s drug enforcement task forces, SSCENT (The State, Sheriff’s, Chief’s Enforcement of Narcotics Team), seem to be the primary law enforcement authorities, based on our experience with the prosecutions following last year’s concert. In 2017, the law enforcement and prosecution seemed to be directed at those responsible for distributing or selling drugs at the festival, as opposed to going after mere “users.” That’s not to say that using or possessing drugs will be tolerated, but, with limited resources, law enforcement has to prioritize and their priority seems to be going after those selling controlled substances. In 2017, there seemed to be a concerted effort to interrupt the flow of drugs even before they reach Rothbury and Oceana County. We received more calls than ever from concertgoers who were stopped at various points throughout Michigan, e.g., particularly Berrien (St. Joseph), Allegan, and Muskegon counties, long before they ever arrived in Rothbury in Oceana County. Of course, once you arrive, you should also expect to be searched at the gates by festival security with law enforcement standing by in the event any drugs are found. Very few people who arrested or charged with a crime at the concert are actually lodged at the Oceana County Jail. Instead, the police typically take the accused to their mobile command post, interrogated them, seek consent to search their belongings, seize any contraband (and sometimes their belongings), field test the drugs, and then issue a ticket directing the accused to appear in court on a certain date for an arraignment, which is the first official proceeding in a criminal case. This is a different procedure than in most criminal cases, but helps prevent the concert from overwhelming the court system with a spate of cases all at the same time. It also allows the prosecution enough time to have the evidenced examined at a laboratory before charges are filed and to have the arraignments spaced out over the course of several weeks. It also reduces the likelihood that those who were arrested at the festival will have to deal with out of state arrest warrants when they return home and have to go through the interstate extradition process, so long as they voluntarily show up at the appointed time on the ticket. That means if you are arrested and accused of committing a crime, the police will probably issue you a ticket directing you to appear in the 78th District Court for your arraignment. In years past, both the prosecutor and court seemed to appreciate that many of our clients are from out of the area or out of state and were pretty flexible in terms of scheduling the arraignment and initial appearance. The attorneys at Springstead Bartish Borgula & Lynch will be on-call throughout the concert 24/7 and be ready to answer your questions and help you with any problems you encounter. Call (231) 924-8700 or (616) 450-5500 for a free case evaluation and consultation. Springstead Bartish Borgula & Lynch handled a lot of cases from last year’s concert and most involved felony charges alleging possession with intent to distribute (PWID) a controlled substance or delivery/manufacture of a controlled substance. Many of these cases also included additional charges alleging misdemeanor or felony possession of a controlled substance. Whether the charges are misdemeanor or felony depend largely on what type of drug is possessed because, in Michigan, the possession of certain drugs are considered misdemeanors, i.e., marijuana, and others felonies, e.g., cocaine, heroin, ecstasy, LSD, or mushrooms. The distinction between being charged with simple possession of a drug and being accused of possessing those same drugs with the intention of selling them depends, in large part, on the quantity possessed. Is it more than a personal use amount? Are there any other indications that the drugs will be resold, e.g., type of packaging, possession of large amounts of cash, etc. The Prosecutor takes these cases very seriously and typically charges serious felonies when he feels it is was warranted by the facts/evidence in the case. At Springstead Bartish Borgula & Lynch, we are very adept at analyzing whether a search and seizure passes constitutional muster, whether there is sufficient evidence to convict, and advising our clients whether negotiating a plea and invoking some of the “breaks” written into the laws or having a jury trial may be in your best interests. If you are accused of or charged with a crime out arising in Rothbury, call the award-winning attorneys at Springstead Bartish Borgula & Lynch for a free consultation at (231) 924-8700 or (616) 458-5500. Our attorneys regularly handle criminal cases in Oceana County and we handle many cases arising out of the concert and work hard to get the best results possible for our clients. See our reviews on avvo.com , which include many reviews from satisfied clients who faced criminal charges. Criminal charges arising out of the festival are typically brought in Oceana County, the county in which Rothbury, MI, the home of the festival, is located. Misdemeanor charges and the early stages of any felony charges are brought in 78th District Court before Judge H. Kevin Drake. Felony cases are handled by the 27th Circuit Court and assigned to either Judge Robert D. Springstead or Judge Bradley Lambrix. The Prosecutor is Mr. Joe Bizon. In 2017, in the cases we handled, the court seemed willing to consider a relatively low or no bond at the arraignment, allowing the accused to remain free on bond during the pendency of the case. Perhaps the court figured that if the accused appeared from out of state on their own accord and hired an attorney to defend against the charges, the person was unlikely to flee. We have had some issues in the past, however, where out of state arrest warrants prevented the court from releasing the accused on bond, so make sure there are no pending charges or warrants when you turn yourself in or, at least, make your attorney aware of that fact prior to your arraignment. If you or somebody you know has been charged with a crime, call Springstead Bartish Borgula & Lynch for a free consultation. Our firm is dedicated almost exclusively to criminal defense and to getting the best results possible in every case. Don’t just take our word for it, though; check out our credentials and client reviews on www.avvo.com and then give us a call. We will be on-call during the festival and ready to help. I hired Gary to help me with my felony drug charge. I was facing 20 years maximum and over $25,000 and he got me a diversion plan that places me on 12 months probo with no jail time. I couldn’t be more happy with these results and owe my life to Mr. Gary Springstead. I hight recommend you retain him for any case as he will do everything in his power to help save your life. Thank you so much Gary. When my son found out he could be facing charges from the Electric Forest Festival, we reached out the Springstead Bartish Borgula & Lynch. Heath returned our inquiry and was available to us on his personal cell phone from the beginning. We were in touch with him many times before we made the decision to hire him and each time he was responsive. He explained what we would be dealing with during the process and answered our many questions. Most importantly, we could not have been more pleased with the outcome of our case. This law firm claims to be knowledgable about Electric Forest and they do not disappoint. I would highly recommend Heath for an Electric Forest case or anything else you may be facing. He will come along side you and be there for you from beginning to end. He is well connected, patient, understanding, and informed. I don’t know that anyone else would have been able to get the end result for us that he did. We couldn’t be happier. Gary helped me with some trouble I got into at Electric Forest this year. Charged with many felonies, Gary was able to get a probationary deal worked out with the judge and keep me out of jail due to the fact I was a first time offender and I am in school. He was a huge help and I would highly recommend him to anybody in need of a criminal defense lawyer. What happens if I am arrested at the Electric Forest Festival? If you are arrested, you will be given an appearance ticket to show up in court in a certain date range. If you show up, you will likely receive a bond and your case will proceed on the normal criminal docket. Failure to show up will result in a bench warrant being issued, arrest, and jail. If you are not from Michigan and do not appear as directed, you will likely be arrested and extradited to Michigan. Extradition is a slow process in which the person being extradited is incarcerated pending extradition. In most cases, concertgoers are not lodged at the Oceana County Jail (so as to not overwhelm the jail). However, you will be asked to leave the Festival grounds. Is it possible to get a diversion if I am charged with a drug crime at the Electric Forest Festival? Yes, it is possible. 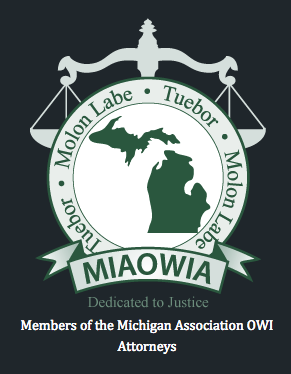 There are two laws in Michigan that serve as diversions: M.C.L. 333.7411 (called a “74-11” in Michigan) and the Holmes Youthful Trainee Act (H.Y.T.A.). Both require the court to go along with a diversionary sentence. If the court agrees to either one, you are put on probation, typically for one year, and, if you successfully complete probation (no positive drug tests and no other violations of the law), then the case is dismissed and you will not have a conviction on your record. Check our recent blog post for more insight on how the new judges handling Electric Forest Festival cases in Oceana County may impact your case. I was driving to the concert and stopped by the police before I arrived. Can the police stop me for no reason just because I have out of state license plates? No. Both the U.S. Constitution (the Fourth Amendment) and Michigan’s Constitution generally require the police to obtain a warrant before they search or seize a person or their belongings. An unjustified stop is an illegal search/seizure under constitution and may warrant suppression of any evidence found as a result of the illegal intrusion. Of course, there are exceptions to this warrant requirement. In the context of traffic stops, there are two common exceptions to the warrant requirement. First, courts have held that the police can make a traffic stop if (a) they have a reasonable suspicion that a criminal activity is afoot and their suspicion is supported by specific and articulable facts. This makes sense. Michigan police do not have to simply ignore a crime occurring in their presence just because they do not have time to obtain a warrant. Probably the most common justification for such a stop occurs when the police suspect a motor vehicle is being operated under the influence of alcohol or drugs, when they observe erratic driving. Second, the police can stop a car if they have probable cause (defined as reasonably trustworthy information that would cause a reasonable person to believe that a violation has occurred) to believe the person has committed a civil infraction such as speeding, failing to use a turn signal, or improper lane usage. If you or somebody you know is stopped for either reason, you still have the right to remain silent and not to incriminate yourself. You do not have to answer any questions or consent to any searches without speaking with an attorney first, though you should properly identify yourself upon request. A common tactic of the police is to ask whether you have anything illegal, such as drugs, in the car. An appropriate response to this question would be to respectfully tell the officer that you do not wish to answer any questions without consulting with your attorney. My friend and I drove into the Electric Forest Festival together in his car. When we entered the grounds, his car was searched and they found bunch of drugs. I had some pot on me and figured he had some too, but I didn’t know that he all those other drugs! Now the police are threatening to charge us both with possession with intent to distribute a controlled substance or even delivery/manufacture of controlled substance. What should I do? Those are both very serious felonies that have life-altering consequences. Call an experienced West Michigan criminal defense attorney immediately. The criminal defense lawyers at Springstead Bartish Borgula & Lynch, P.L.L.C. has represented many clients who have been arrested and charged with crimes at the Electric Forest Festival. While you might be guilty of possession of marijuana, you are not guilty of the more serious drug charges because the law requires proof that you knew, at least, that the drugs were there before you can be held responsible for them. Hopefully, your friend tells the police that you didn’t know they were there, and they believe him, but you cannot count on either of those things happening. That’s why you need an experienced Rothbury criminal defense attorney to look out for your best interests and legal rights at this critical time. I was searched when I entered the festival and security found drugs. They took my backpack and turned it over the police, who then questioned me, searched my backpack, and wrote me a ticket to appear in court. Can they do this? Yes, and maybe. I’ll address the first part of this question first. Yes, the festival can search you before you enter the grounds. Because the concert promoters are not government actors, they are not bound by the constitution in the same way as the police. The search is really an express or implied agreement between you and the concert promoters. If you want to enter their concert, you agree to submit to a search. You are under no obligation to submit to this search, but they can refuse to let you enter the concert if you don’t. However, a legal issue can and does arise when security acts on behalf of or at the direction of the police, changing what was a search by a private citizen or corporation into a de facto search by the government. The court in Oceana County has found this symbiotic relationship problematic in the past. If you have been searched and drugs or anything illegal are found, you should definitely consult with an attorney before you say anything further or consent to any further searches. The answer to the second part of this question is a little trickier, so I’ll break it down step-by-step. Can security seize my belongings? Again, the answer to this probably turns on the fine print between you and the concert. The festival guidelines provide that no “illegal substances” are permitted, so the concert does not have to allow you to bring in an “illegal substance.” Whether they have the legal authority to keep or “seize” your property is a more complicated legal issue. Our experience at the festival has been that, rather than getting into this murky legal issue by seizing your property, security simply asks you wait there while they contact the police, who are standing by for just such an occasion. Can they turn it over to the police? There is no legal reason why, when security suspects a crime is/has been committed, they cannot inform the police of the same. Once the police arrive, the legal analysis is much more straightforward as are your constitutional rights. While you may feel you have been caught red-handed, the police and prosecutor will, ultimately, have to justify the legality of any search and seizure that occurs, and you don’t have to make your situation any worse by confessing to a crime—even if it seems you are just admitting the obvious—or by consenting to a search of your belongings. Again, you are under no legal obligation to answer any questions or to consent to a search, and you should immediately consult with an attorney if you find yourself in this situation. I was arrested at the festival on suspicion of selling drugs. The police, in plain clothes, swooped down on me and arrested me. They claimed to have been watching me and to have seen me selling drugs to people. Can they just arrest me like that? The answer to this question is “maybe.” Both the U.S. Constitution (the Fourth Amendment) and Michigan’s Constitution generally require the police to obtain a warrant (arrest or search) before they search or seize a person or their belongings. However, one of the many exceptions to the warrant requirement allows the police to make a warrantless arrest when they have probable cause to believe that a crime is being or has been committed. Whether probable cause exists is a very, fact-intensive inquiry that depends on the facts of each particular case. One very important factor is whether the police possessed trustworthy information to believe that you were actually selling drugs and not something else, which is very common at a festival like this one. The police must have more than a hunch that you are selling drugs. Last year, we won a case like this because the police had a hunch the person was selling drugs but, in reality, didn’t have any specific facts to point to that it was actually drugs before they arrested the person. Had the person sold to an undercover or had the police arrested the buyer and found the suspected drugs, the outcome probably would have been much different. If you are faced with a similar situation, you should definitely consult with an attorney immediately. The police seized what they thought were drugs, but I am not sure what exactly it was. How can I find out what kind of drugs they were and whether they are illegal? This happens more than you might expect at the festival. People sell real drugs and, sometimes, fake drugs. The police will usually “field test” the suspected drugs on the scene and then submit them to the crime lab for further testing. Obviously, if they are not really drugs and not illegal, then your criminal exposure is significantly reduced, though maybe not completely. You should consult a West Michigan criminal defense attorney if you find yourself in this situation. I thought the police were going to arrest me, so I ran away. Now I am afraid to go back to my campsite because I fear I will be arrested. What should I do? Call an experienced Electric Forest Festival attorney. The criminal defense lawyers at Springstead Bartish Borgula & Lynch, P.L.L.C. know, through our past experience at the festival, a lot of the law enforcement who have worked the festival and who may very well be working at the mobile command post this year as well as the local prosecutor. We can simply call them and ask. They are under no obligation to tell us who they are investigating or going to arrest, but we have had success in the past working out these situations. If you think they are never going to figure out who you are, remember, they can always ask your friends or just wait for you to return to your belongings. Don’t live in exile, just give us a call. My friends and I were hanging out at our Electric Forest Festival campsite getting high, when the police swooped down on us. I freaked out and ran away. The police didn’t catch me but I left my backpack at the site. It has a lot of drugs in it because I was holding on to them for the whole group. Can I get be held responsible for all of the drugs even though they weren’t all mine? The short answer is “yes.” In order to be found guilty of possession of a controlled substance, the prosecutor has to prove that you actually possessed the controlled substance, i.e., had it in your pocket, or that you had constructive possession of the drugs, that is, you were able to exercise dominion and control over the drugs, wherever that may be. If the drugs are in your backpack, one could easily conclude that had control over them, even if your friends did too. If you find yourself in this situation, you should definitely contact an experience Rothbury criminal lawyer who handles drug cases arising out of the Electric Forest Festival. This sort of thing happens a lot. Can I be arrested for possession of marijuana at the Electric Forest Festival if I have my medical marijuana card from another state? You can be arrested because, in order to lawfully use or possess marijuana in Michigan, you have to be a properly registered patient and resident of Michigan. Whether the prosecutor actually charges you with a crime or it stands up in court is another question, which probably depends on the particular facts and circumstances of your case, including how much marijuana you possessed and what you were doing with it. In Michigan, it is legal to possess up to 2.5 ounces of marijuana with proper documentation, though it remains a federal crime to possess a controlled substance. There are also strict rules about the transportation of medical marijuana. Click here for medical marijuana FAQ’s. Consult with an West Michigan attorneys at Springstead Bartish Borgula & Lynch, P.L.L.C. firm immediately if this situation comes up. I was arrested on suspicion of selling drugs and taken to the mobile command post. Do the police have to advise me of my Miranda rights before they question me? Yes. Whenever you are in police custody and asked questions that are reasonably likely elicit an incriminating response, the police must first advise you of your Miranda rights and obtain a waiver of those rights before questioning you. A failure to do so can result in the suppression of any statements you made to the police in violation of your Miranda rights. Of course, you also have the right to remain silent and to consult with an attorney prior to answering any questions, but you must vigilant in clearly and unequivocally asserting your rights. If I am arrested at the Electric Forest Festival, can I call my lawyer or an attorney nearby? The police may allow you to call a lawyer, but they are not required to allow you to make a call. Of course, if you clearly and unequivocally refuse to answer any questions without your lawyer, then they should, at least, stop asking you incriminating questions. Otherwise, any statements you make to the police could be suppressed for violating your 5th Amendment right to legal counsel. I was arrested, ticketed, and thrown out of the Electric Forest Festival. All my belongings are still inside the festival. Can I get my belongings back? This is one of the worse things that can happen to concertgoers and it happens all too often. No money, no credit cards, no identification, no phone. If this happens to you, please give us a call. We will even take a collect call from pay phone if necessary. We have been able to help secure the return of our clients’ belongings in the past. This usually entails working closely with the police and prosecutor to separate what might be considered evidence from your other belongings and getting them back to you as quickly as possible. Always keep your I.D., some cash, your phone, and a credit card in your pocket. It is too easy to get separated from your backpack or campsite once the festival gets going. Can the police just search my phone if I am arrested? NO! The U.S. Supreme Court just held in a unanimous decision on June 25th, 2014, that the police must first obtain a warrant before searching your phone, even after you have been arrested. The case is Riley v. California (2014) and it is a very important decision that affects almost anybody who has been arrested. I was arrested at the festival and given a date to appear in court. Do I have to appear on that day or can it be moved? You have to appear on that date, unless the court agrees to move it. Because a lot concertgoers are from out of state, the court has been willing, in the past, to move the first court appearance, to an extent, to accommodate travel, work, and school. You will have to “turn yourself in” on the pending charges and get booked at the jail. Then, you will be taken over to the court, where you will be arraigned on the charges. This means the court will tell you specifically what you have been charged with, what the possible penalties are upon conviction, make sure you understand all your rights, ask you how you wish to plead (guilty, not guilty, or no contest). In most cases, you would be well advised to plead not guilty, even if you think you are guilty and simply want to “get it over with” as soon as possible, because an attorney may be able to negotiate a more favorable plea and disposition or possibly even win the case if your constitutional rights have been violated or the prosecution lacks the evidence to convict. After your arraignment, the court will usually set a bond, based on the seriousness of the charges, risk of flight or nonappearance and danger to the community. Most of our clients last year received a relatively low bond or a personal recognizance bond and were released after arraignment. It depends. It depends on whether you are charged with a misdemeanor or a felony and how far your case goes. If you are charged with a felony and your case is not dismissed, then you must be present, at a minimum, for the: (a) arraignment, (b) preliminary examination, (c) pretrial conference and any change of plea hearing, and (d) sentencing. Sometimes, these court proceedings can be combined, but that depends on a case-by-case basis. Your attorney should be able to tell you when you need to be in court and give you ample notice. What sort of punishment can I expect if I am found guilty, either by plea or at trial? 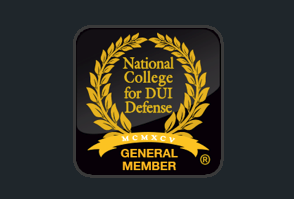 The answer to this question depends on what you are found guilty of, i.e., a felony or misdemeanor, and the facts of your particular case, including your criminal history and other factors in your life like whether you have a job, are a student, any history of drug abuse, and a variety of other factors. Felony sentences are often driven by Michigan’s sentencing guidelines, unless your attorney and the prosecutor work out an alternative plea agreement that the court agrees to follow. There are a lot of “breaks” built into the law for first-time and youthful offenders that an experienced attorney may be able work into a plea agreement that can significantly reduced the punishment and even prevent a conviction from being on your official record altogether. If you are charged with a crime arising out of the Electric Forest Festival, you should consult with an attorney who has experience dealing with Electric Forest Festival cases, as these cases are handled slightly differently than other criminal cases, as well as experience dealing with the prosecutor and the court, as what might be a good deal in another county might not be considered a good deal in your case or vice versa. Every year Springstead Bartish Borgula & Lynch represents many clients accused of committing an array of crimes at or on the way to the concert in Rothbury, MI. At Springstead Bartish Borgula & Lynch, we know how these cases are handled and work hard to get the best results possible for our clients. The attorneys at Springstead Bartish Borgula & Lynch will be on-call 24/7 during the concert and are located nearby if you want a consultation in person. Call now for a free consultation or if you have a question at (231) 924-8700 or (616) 458-5500.